We expect Sembcorp Marine to report core losses of S$78m in 2018 and S$27m in 4Q18. Operating margin for the core offshore engineering business is expected to remain negative and we look for signs of a turnaround. The focus will also be on the re-charter of Aquarius Brasil, and the need for more provisions for Sete Brasil. We raise our loss forecast for 2018 by 2%. Until profitability becomes clear, maintain HOLD and target price of S$1.83, pegged to 1.7x 2019F P/B. Entry price: S$1.50. Estimating 4Q18 net loss of S$27m. SEMBCORP MARINE LTD (SGX:S51) will report results on 19 February. We expected a core net loss of S$78m for 2018 vs consensus estimated loss of S$97m. Our loss estimate has widened by 2% as we tweak assumptions on margins and interest income. Core net loss of S$27m is implied for 4Q18, driven by continued operating losses from the core offshore engineering & repair segment, partially offset by higher interest income from the delivery of Borr drilling rig Natt in Nov 18. Contract wins of S$1.2b for 2018. About an additional S$420m of new contracts were announced in 4Q18, bringing total contract wins for 2018 to about S$1.2b. This excludes the variation order from Transocean for one of its drillships. The total figure is likely to be short of our S$2b expectations. Core business operating margin to remain negative. The offshore engineering & repair segment is expected to continue reporting a negative operating margin. On a headline basis, we are expecting negative 3-4%. Revenue for the quarter is likely to include S$180m-190m from the delivery of Borr rig Natt, on top of revenue recognition for other projects. 4Q18 interest income to rise 10% qoq. Interest income for 4Q18 is expected to rise to S$16m (+10% q-o-q) on the back of interest income from the delivery of Natt, as well as full-quarter interest income recognition from Borr rigs (Groa, Gyme) delivered in 3Q18. The 5-year contract for Aquaris Brasil (ex ARV3) with Petrobras is coming to an end in mid-19. Upstream reported on 18 Jan that the floatel is likely to participate in the upcoming Petrobras tender to supply accommodation vessels. Against the backdrop of offshore engineering losses, the outlook for this vessel is significant as it has contributed S$11m-12m in operating profit per year since 2014. Likelihood of further Sete Brasil provisions low. KEPPEL CORPORATION LIMITED (SGX:BN4) had provided another S$167m for Sete Brasil in 4Q18, bring total provisions to S$467m. In contrast, Sembcorp Marine provided only S$329m in 2015. 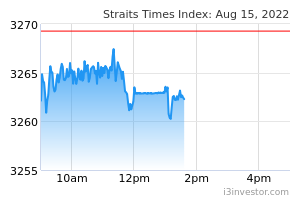 Market expectations are for Sembcorp Marine to make further provisions. However, that likelihood appears low. Accounts from Sete Brasil showed that of the US$1.9b (S$2.6b at current forex rates) Sembcorp Marine received from Sete Brasil, US$420m was for three rigs that had yet to start construction. Sembcorp Marine reported US$160m in arrears in Apr 15 for rigs under construction. Subsequent completion beyond Apr 15 probably saw the figure rise to US$277m. Even then, the deposits collected more than offset the arrears. With unpaid construction costs covered and an estimated US$33m (S$45m) required for profit reversal, the bulk of the S$329m provision likely relates to the uncovered cash cost needed to complete the first two rigs (Arpoador and Guarapari). For the last two rigs (Camburi and Itaoca), completion stood at 31% and 60% respectively as of the last update. With costs for construction completed thus far likely covered, Sembcorp Marine can opt to abandon the project. Otherwise, it will have to make sizeable provisions to complete the drillships, given that current newbuild prices at US$290m remain significantly below the cash cost required to complete them. Profit turnaround in 1H19 unlikely, look for signs of a 2H19 turnaround. Core operating margin for Sembcorp Marine’s offshore engineering business remains deeply negative. Partially offsetting the losses is interest income from delivery financing of the Borr rigs, which is expected to rise to almost S$50m for 2019 (2018F: S$28m) with the delivery of Njord in end-Jan 19. In order for Sembcorp Marine to stage a full profit turnaround, operating margin for the core offshore engineering & repair segment must improve to at least 0-1%. As of 3Q18, headline margin for that division stood at -3.9%. Unless 4Q18 stages a dramatic turnaround, the likelihood of a profit turnaround in 1H19 seems low for now, and we look for signs that point to a 2H19 turnaround. Raise loss forecast for 2018 by 2%. We have adjusted our 2018 loss forecast to S$78m (+2%). Our forecasts for 2019-20 stand unchanged, but are at risk of downward revisions if offshore engineering operating margins did not improve in 4Q18. Our operating margin assumptions for this segment for 2019-20 are 1% and 2% respectively, which might be optimistic. 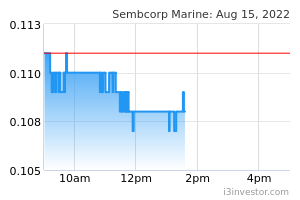 Maintain HOLD and target price of S$1.83, pegged to 1.7x P/B, or -0.5SD of Sembcorp Marine’s long-term P/B. While valuations are undemanding at 1.5x 2019F P/B, we remain cautious. Until there are signs of an earnings recovery, we see limited reason to accumulate the stock. Balance sheet risks remain. Offshore engineering business tilts into profitability.